Lola Lasurt (Barcelona, 1983) studied Fine Arts at the Universitat de Barcelona, and obtained a postgraduate in Aesthetics at the Universitat Autònoma de Barcelona, and an MA ProdArt at the Universitat de Barcelona. She has been resident at HISK, Ghent; La Ene, Buenos Aires and at the Greatmore Art Studios, Cape Town. 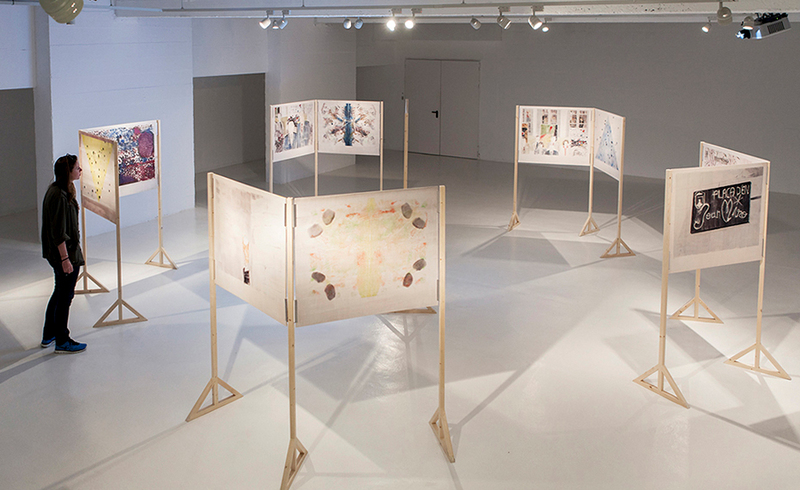 Amongst her solo shows are: Promenade, 105 Besme (2015); Exercici de ritme, Galeria Joan Prats, Barcelona (2015); Doble autorización in the cycle Arqueología preventiva, Espai 13 of the Fundació Joan Miró, Barcelona (2014); Amnèsies, Espai2, Terrassa (2012), El Gegant Menhir, Museu Joan Abelló, Mollet del Vallès (2011). She has participated in group shows such as Young Belgian Art Prize’15, Bozar, Brussels (2015); Write of Spring, Het Paviljoen, Ghent (2014); Los inmutables, DAFO, Lleida (2012); La gran aventura, Can Felipa, Barcelona (2012); Learn and Teach, Greatmore Art Studios, South Africa (2012). 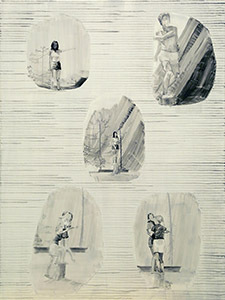 The work of Lasurt is represented by Galeria Joan Prats, Barcelona. 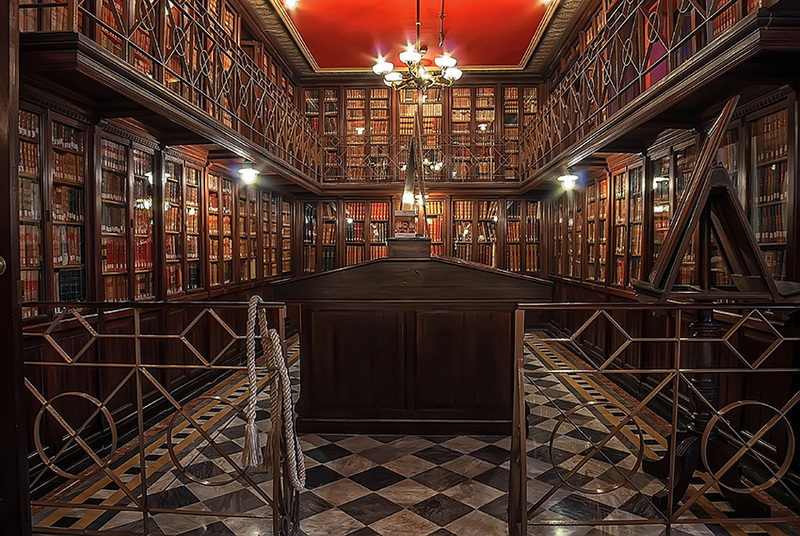 Founded in 1895 as a bequest of philanthropist, activist, man of theatre and freemason Rossend Arús (1844–1891), the Biblioteca Pública Arús (Arús Public Library) is located in the flat in Barcelona’s Passeig Sant Joan where he lived. Entrusted specifically to the people of Barcelona, it was the most advanced Catalan public library of its time, with facilities and a flexible timetable designed to accommodate working people. Over time and with the historical vicissitudes (in particular after the Spanish Civil War, 1936–1939), the Library has become a research centre specialised in social and cultural history of the 19th and early 20th centuries, with outstanding collections related to the labour movement, anarchism, Freemasonry and Sherlock Holmes.